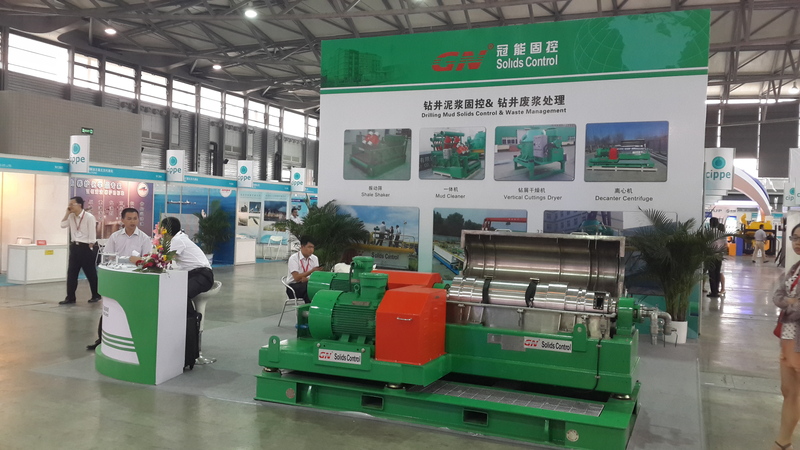 GN Solids Control participate on Sixth CIPPE 2014 (from August 26th to August 28th ) held in Shanghai. GN attracts a heap of clients and buyer attention. Why is GN the second to none in Chinese solids control industry? GN Solids Control carries a full line of products for the solids control industry. We also offer equipment from shaker screens, shakers, mud cleaners, decanter centrifuge to the complete closed loops system. Our commitment to an unparalleled level of equipment and service has enabled us to enjoy tremendous growth and a leading position in our field. Under the fierce competition, it is our quality units and fast service that we believe makes us number one. GN Big bowl decanter centrifuge is showed on the OTC. GN big bowl decanter centrifuge is with maximum 484 treating capacity and 22 inch bowl diameter. Typical speed is able to reach 2500RPM and 35:1 rational gearbox. There is no doubt that durable SS316L stainless steel and tungsten carbide alloy of solids discharge gains the public eyes. 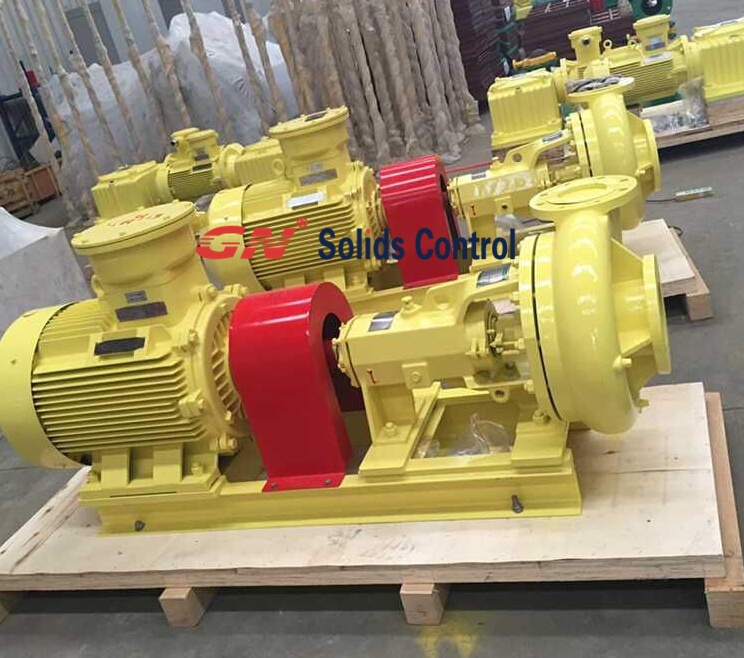 Why we choose GN Solids Control? GN Solids Control implements reduce, reuse and recycle philosophy handle with drilling fluids, combining our solids control units and fast services. We are commitment to responsive fluid control and are able to recycle more drilling fluid than our competitors. Our integrated portfolio of cutting-edge solids control technologies are engineered to optimize drilling performance by reducing fluid losses and costs. GN Solids Control is dedicated to the supply of quality products including, shale shaker, desander, desilter, mud cleaner (mud conditioner). Centrifugal pump and mud agitators. GN also offers new decanter centrifuge and vertical cutting dryer. Proven reliability and continued customer support is demonstrated with worldwide installations to some of the largest company in the world. 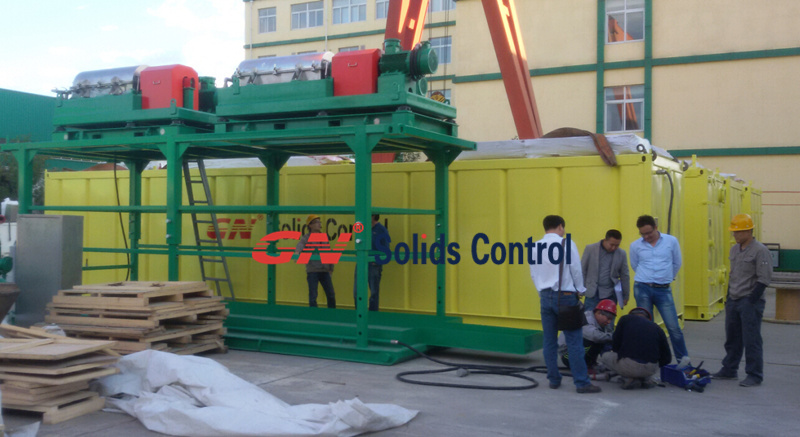 Talk with GN Solids Control, you will find more solutions for your drilling fluids.